Vertigo is often confused with other nasty sensations. There is one that is called ‘false vertigo’. Patients often describe states like “seeing the world go dark before the eyes”, “suddenly feeling bad” or “floaters”. These are caused by overworking, lack of iron, and unstable blood pressure. “False vertigo” is not related to vestibular disorders. This is what makes it different from true vertigo, which results from impaired sensory perception. These sensations are often mistaken for vertigo. They can signify a variety of diseases. For example, muscular issues can be signs of epilepsy. 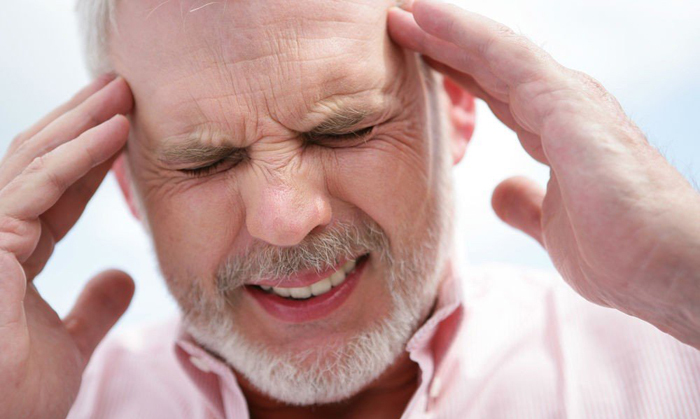 It takes a neurologist’s consultation to figure out the cause and type of the condition. The condition has a variety of manifestations, which differ according to the type of disease. Visual distorts the perception of the world around and causes a feeling of everything around moving. 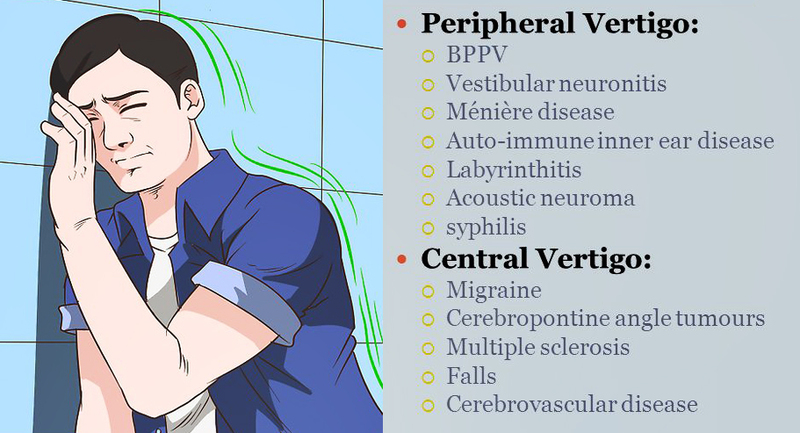 Peripheral vertigo comes on suddenly, lasts several days and causes imbalance. Finally, vertigos can be categorized according to the position of surrounding objects: vertigo can be systemic and non-systemic. Systemic vertigo comes on suddenly. It can be caused by a vestibular disturbance, such as, for example, Meniere’s syndrome. Psychogenic vertigos cause nervous breakdowns and disorders, which result in fear and agitation. To identify the type of disorder, a patient should be able to describe his or her state during vertigo, and doctors should carry out a number of studies and examinations.